Law firms & social media – hand in hand or claw to throat? The agency I work for does quite a lot of marketing for law firms in NSW and Victoria. In the six months I’ve been here I’ve learned a lot about what you can and can’t do when marketing or advertising for a law firm – and let me tell you, it is very complicated! This is why I read with a certain amount of interest Laurel Papworth’s blog on a law firm called CG Lawyers, who are running a ‘social media campaign’. Since my passion is in social media, I’ve been looking for a way to utilize this medium with some of our law firm clients – and struggling because of the complexities of the law combined with the inherently uncontrollable nature of the medium. But this competition by CG Lawyers is an outright and blatant example of a law firm trying boost their profile and SEO (your website will rank higher in Google if there are more places that link back to you) through social media. I really like the way online social networking is gaining strength in the business world. We’ve all realised that something as simple as regular blogging on relevant topics can attract more traffic to our websites – and also build exposure for our brands. So, we’re looking for a great online social networking effort from you. Something that links our two businesses using social networking as the medium. It should be part of your own attempt at using social networking for business purposes. 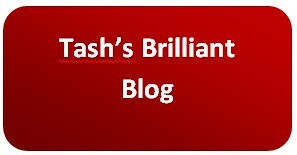 Do you write regular blogs and articles online? Are Facebook, Twitter and LinkedIn working for you as a business tool? Do you know of a website where people in your profession discuss issues and problems? Have you been exposed to creative online methods that provide information flow and initiate conversation? Fundamentally I disagree with this campaign – in my eyes (and I know there will be many who disagree with this) it goes back to the issue of paying for coverage in blogs, where ignorant PR and marketing agencies offer to pay an influential blogger to write positive things about their product/company. While in a competition format I suppose it isn’t so bad, but something in me just doesn’t like it. But as Laurel said on her blog, it is also very smart on the part of CG Lawyers. The essential idea behind a lot of work that happens in digital and social areas on the internet, is to create a web of interlinked and connected sites (but not so many that you can’t maintain) and drive all the people who are your fans on Facebook to also read your blog posts and follow you on Twitter. It’s something I advised Taronga Zoo to do while I interned there last year, and it was extremely successful in driving up their overall views of Flickr photos, driving up followers on Twitter and building a solid community on Facebook for their Chimpanzee family. Now that I’ve seen another law firm be brave enough to enter into social media I think it is an area something I can now realistically and practically explore for our clients. And this is really exciting.